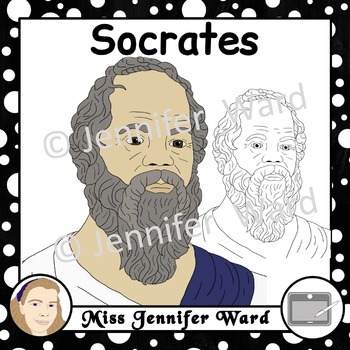 Socrates clipart / clip art. He was a Greek (Athenian) philosopher from the 5th century who was influential to what we refer to as western philosophy. Comes in lineart and color/colour. 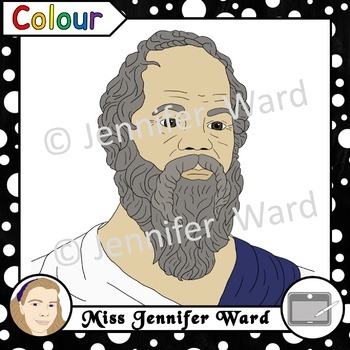 Thumbnail Colours: I have noticed that the thumbnails are darkening the colours of the clipart (especially when viewed on a mobile phone) which in some cases is giving the subject a look of being a bit too yellow or grey. 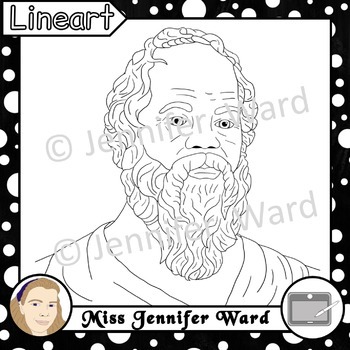 For a better sample of what the clipart looks like please click HERE.